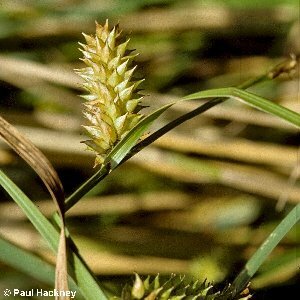 A fairly robust plant, similar to the commoner bottle sedge (Carex rostrata) and sometimes hybridizing with it. A species of wet peaty or inorganic soils around lakes, in drains, on riversides and in marshes. 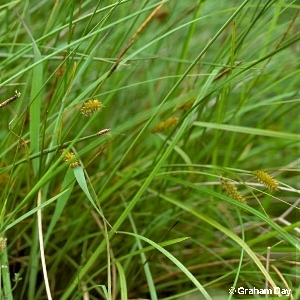 All names: Carex vesicaria L.